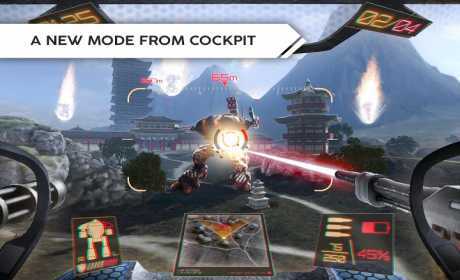 ROBOT WARFARE – breathtaking multiplayer online shooter from true masters of the genre. Assemble your own garage of robots with unique abilities and weapons and win your enemies in dynamic 6v6 battles! Huge variety of robots with unique abilities. Jump on the buildings, maneuver from cover to cover, hide behind shields or infiltrate enemy lines in full invisibility – play as you always wanted to! You’ll also get a bunch of robots for free just by leveling up! Plasma guns, machine guns, shotguns, sniper cannons, flamethrowers rocket launchers and artillery – equip your robots according to your own playstyle. Unique opportunity to test-drive the newest premium robots. Get the best robots completely free of charge! 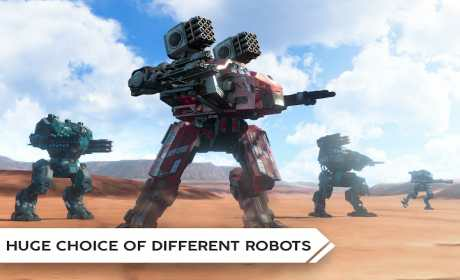 Rent your desired robot, upgrade it & fight in battles. After a few battles, the robot will become yours for good! Unique drone-helpers fighting beside you! 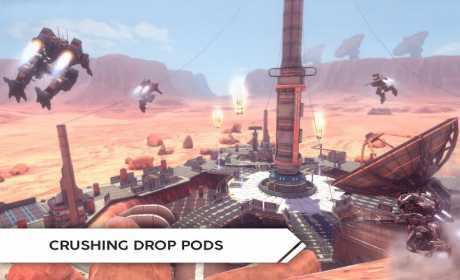 Equip your drone with your favorite weapon for extra firepower! Ability to use up to 10 robots in 1 battle! No need to choose which of your favorite robots to bring to battle – you can use them all! Special upgrade system for your robots and weapons. Awesome visuals: detailed robots and beautiful maps! We have a great gaming community! Join us, speak right to the devs, communicate with the players, get the latest news and win our awesome contests and giveaways!